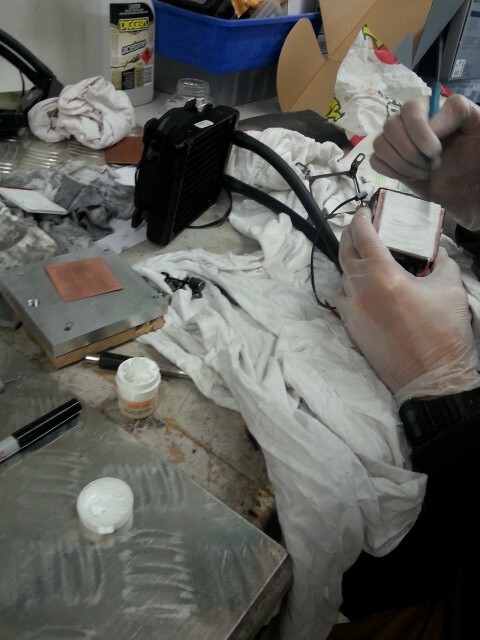 Adding heat transfer paste. Be sure to wear gloves when doing this. Not so good if the paste gets on your skin.